PhosKlear 4000 is more than just a powerful phosphate remover. It combines two SeaKlear technologies, SeaKlear Phosphate Remover and SeaKlear Chitosan Clarifier to quickly reduce phosphate levels and help clear pool water fast. 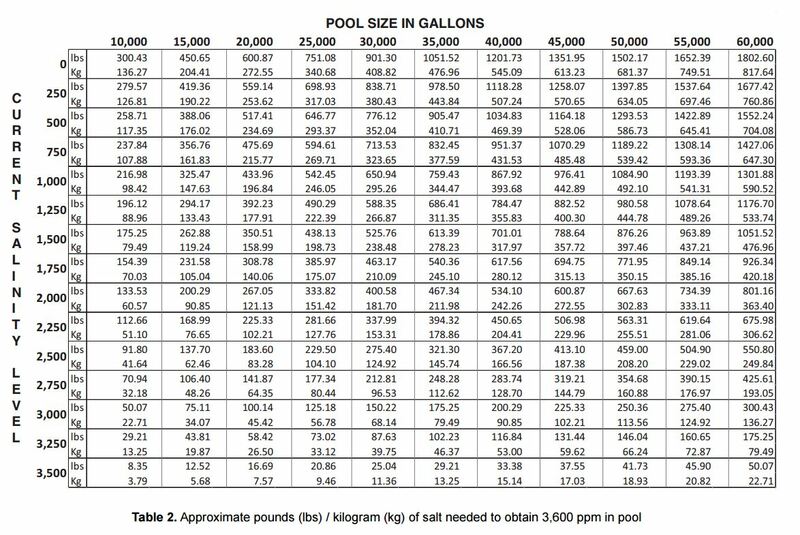 Regular use controls phosphate levels and will leave your pool water looking beautiful and crystal clear. 2. Calculate the amount of product required using the dosage guide. Pour SeaKlear PhosKlear 4000 in the pool, distributing it over as wide an area as possible. If pool water still appears cloudy after 24 hours, then treat with SeaKlear Chitosan Clarifier at a rate of 2 oz per 5,000 gal. 3. Run your filter system continuously for at least 24 hours. 4. 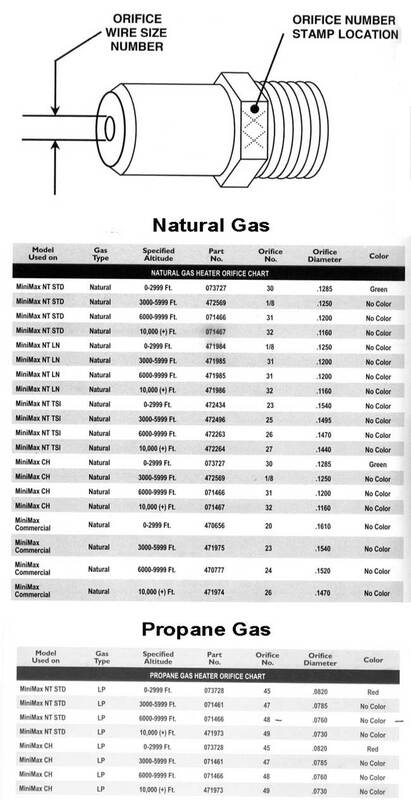 If filter pressure increases 10 psi over normal, clean or backwash the filter. 5. After 48 hours test the phosphate level with a phosphate test kit approved for swimming pool use. If it is needed, reapply SeaKlear PhosKlear 4000. 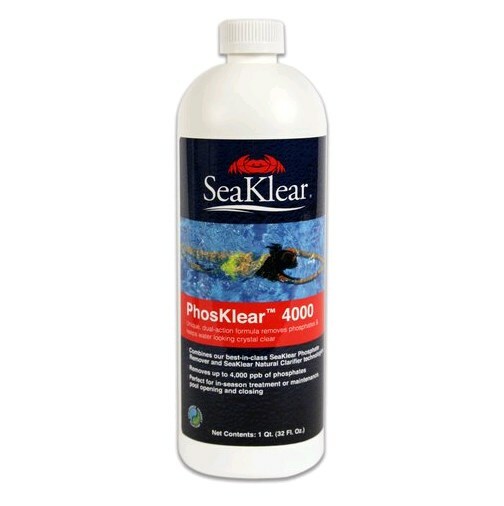 Weekly Dose: Use 2 oz of SeaKlear PhosKlear 4000 per 10,000 of pool water to control phosphate levels and keep water clear. Important: It is normal for this product to cause pool cloudiness, indicating that phosphates are being removed. The duration of the cloudiness will depend on phosphate levels and pool equipment, and can sometimes last up to 24 hours. While pool water is cloudy, swimming should not occur so plan your treatment accordingly. As needed, apply SeaKlear Chitosan Clarifier at a rate of 2 oz per 5,000 gallons to help clear cloudy water.